. . . and babies make four. 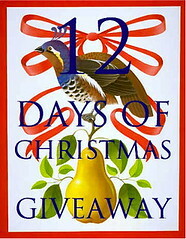 : And the winner of the twelfth day is . . .
And the winner of the twelfth day is . . .
Congratulations NeuroMama! You have won a short-sleeved dress or a pair of pants from Poppy Dip! You are going to love whatever you choose. To claim your prize, please e-mail Sallee. She will take fabulous care of you. Thanks so much, Kristi! I will consider this a birthday present for me (because, let's face it, dressing my girls is really all about me). And, my birthday is on Wednesday, so it's perfect timing. I love reading your blog and following along on all of your adventures. Thanks again!